In the Kevo Strict Nature Reserve, the northern nature is at its most majestic. Kevo is suitable for demanding wilderness hikes, as the area is only accessible on foot. Lying within the core of the nature reserve is a canyon-like gorge valley over 40 kilometres long and up to 80 metres deep, along the bottom of which flows the Kevojoki River. 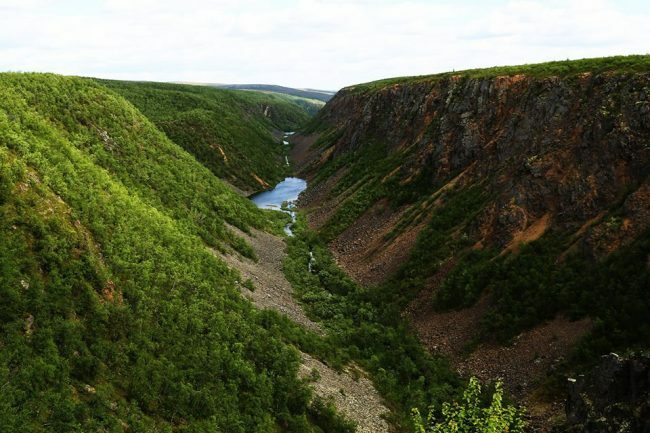 The Kevo Strict Nature Reserve is located in the Municipality of Utsjoki and covers an area of 712 square kilometres. The Kevo trail covers 63 kilometres and traverses, for instance, the magnificent Kevo Canyon.